The courts have given their final approval for the controversial $80 million makeover of Balboa Park to proceed. Some are cheering; others are not. That is a truly sad and tragic assessment. That at least merits a debate. After all, bonds are a tax by another word. So more than just the City Council should have a say on increasing the debt burden of citizens — especially given the financial wobbliness of the city’s budget and the still lurking pension crisis. The city’s recent history of flagrant misuse of taxpayer funds for the 2018 Balboa Park Centennial celebration only reinforces the public cynicism. Other things that raised hackles about the Plaza de Panama project have yet to be addressed properly — notably the design itself, which was adopted without public input. The end of cars’ full access to the Cabrillo bridge and the plan for paid parking in a giant underground structure to help finance the project are objectionable by themselves. Charging for heretofore free parking spaces will, by definition, exclude many residents. Think what an outrage would follow if the city started charging to visit our beaches. Or might that be the future plan? Even more offensive than the lack of public input on the design, the bond sale, or the environmental costs, was the steamroller push to get the plan approved. San Diego parks are still public property—and deserve protection. Why the rush? Could there exist a better plan? A more sensitive proposal? Enter Sara Jacobs, recent congressional candidate and granddaughter of Irwin Jacobs, the originator of the Plaza de Panama project. San Diego needs a hero—or heroine—to repair the damage done and ignite a genuine community effort to better proceed. Sara Jacobs is perfectly positioned to do just that. She could step in and become a legend in her own time. Just like Kate Sessions (whose sculpture adorns the entrance to Balboa Park) and Ellen Browning Scripps (another visionary in San Diego’s bejeweled history). Jacobs could devote herself to realizing an greater dream than her grandfather and make Balboa Park more grand, while respecting the environment and history. She could devote her considerable education, talents, experience and access to bring everyone together—in the true “Spirit of San Diego”— and produce a real marvel. One that honors the park’s heritage and redefines San Diego in a more favorable light. Indeed, she could not only envision, but actually produce a plan that preserves what is best about the park, repairs what needs fixing, and keeps it open and accessible to everyone—not just those with means. Visit the San Diego County Administration Center’s waterfront park and see who is frolicking there. They need a champion, too. 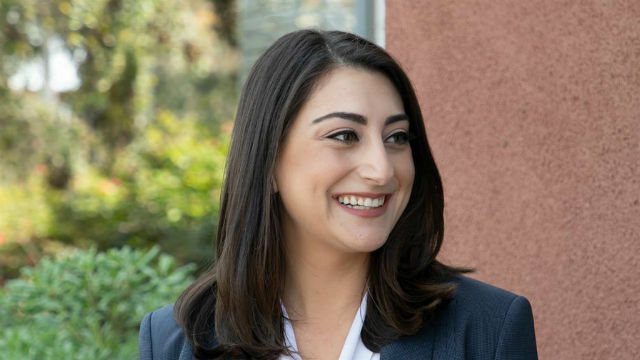 Perhaps Sara Jacobs could work with her grandfather and Mayor Kevin Faulconer to create a Plaza de Panama “blue ribbon” committee that includes every park constituency, including environmentalists, architects, developers and even the current plan’s opponents. San Diego needs complete community buy-in to save Balboa Park and to make its future as glorious and accessible as it has been for more than a century. Jacobs should just think about it. No one remembers a member of Congress from 100 years ago, but most San Diegans do know of Kate Sessions and Ellen Browning Scripps. Jacobs could join their ranks. And become a legend in her own time. What a legacy for her. And what a gift to San Diego. And while she is at it, maybe she could check out Presidio Park, too.